We’ll start with the odd part. 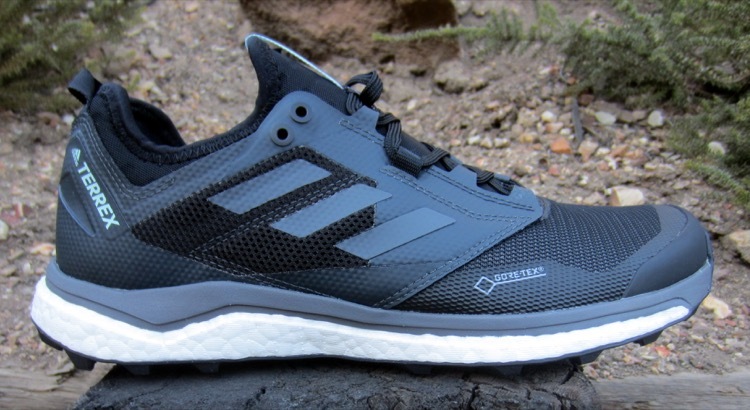 Adidas takes an interesting approach with the new Terrex Agravic XT shoes, making them with different degrees of weather protection for men and women. 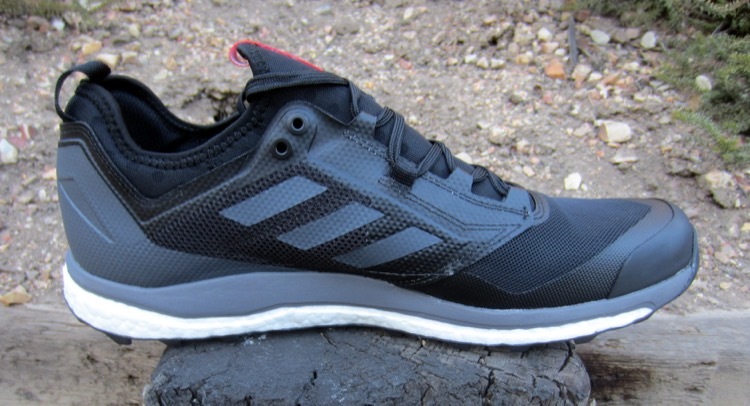 The women’s version of this shoe is only available in a Gore-Tex version (along with its resultant higher price point), while the men’s is only available with a non-GTX mesh upper. It doesn’t make sense to us, either. 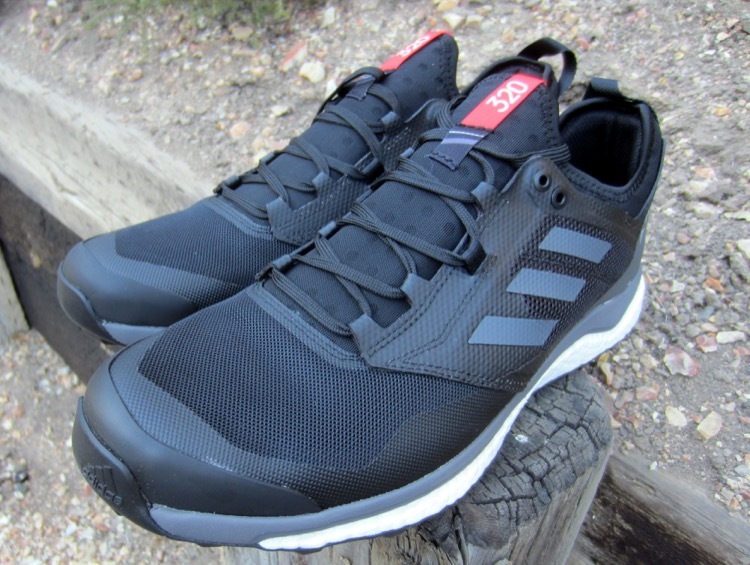 As for the actual performance of these shoes, our testers generally found them to be a pleasant combination of low and springy, with excellent responsiveness and grip when you’re pushing the pace. The relatively low stack heights ensure a good control on climbs, and the 7mm drop gives some additional heel protection when bombing downhill. Adidas’s famed Boost midsole material provides strong energy return, and in combination with softer EVA helps cushion impact and redirect your momentum from heel to toe. There’s no rock plate or similar underfoot protection aside from the outsole and midsole compounds, so the Terrex Agravic XTs are probably better suited for fast 50ks than technical 100ks. 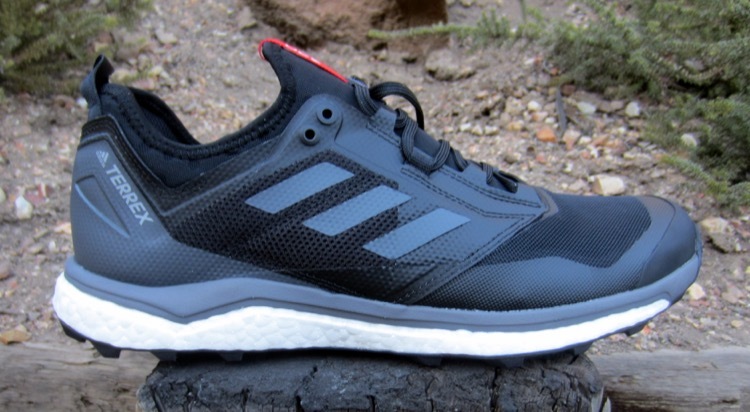 Another proven winner in the Adidas lineup is the use of Continental rubber on the outsole. This is the same rubber compound that you’ll find in bicycle and automobile tires, and it has exceptional durability even for mixed road and trail use. The aggressive 4mm lugs provide outstanding grip in wet and dry conditions, and we had no problems with traction and control going up and down steep mountain climbs, or hopping across large roots or slick rock faces. One of our testers bombed a descent of Mt. Whitney in a downpour, with no slipping and full confidence all the way down. The only drawback of a full rubber outsole is that it adds weight, and the spec weights of the Terrex Agravic XTs are higher than you’d expect from an otherwise low and nimble shoe. Fit of these models is snug in the rearfoot and slightly narrow in the midfoot, with a toe box opening enough to allow toes splay on impact. The fully attached tongue wraps the foot like a light compression sleeve, and the foot feels securely locked onto platform even on technical terrain. 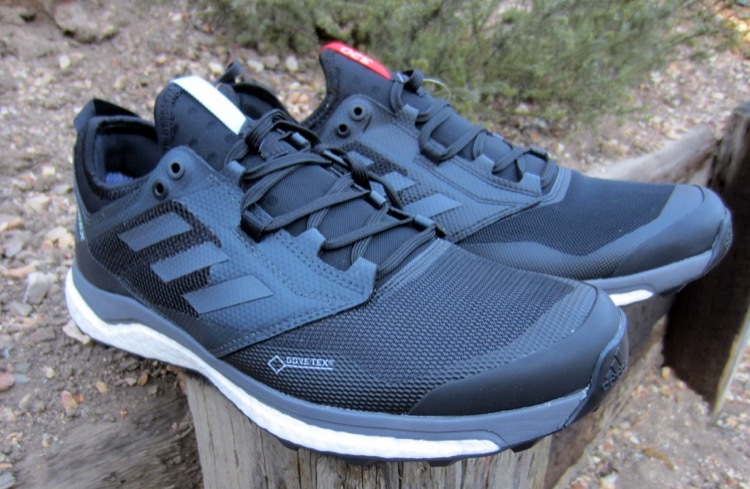 The mesh upper on the men’s version breathes well while still keeping out most debris, while the women’s GTX version runs a bit hotter but sheds moisture more effectively. The Adidas Terrex Agravic XT (men’s) and Terrex Agravic XT GTX (women’s) shoes are available now at www.adidas.com.